The 2018 Chevrolet Cruze from Jones Chevrolet Cadillac in Sumter, SC, serving Columbia, is a practical car for the everyday driver. If you need a reliable vehicle that has all the features you want, look no further than the 2018 Chevrolet Cruze. This compact car has bold styling and a powerful 1.4L, Ecotec, turbocharged engine with 333 horsepower ready to fuel your drive. The cabin is lined with cozy cloth seating and modern amenities that keep you fully entertained while you head off toward your destination. 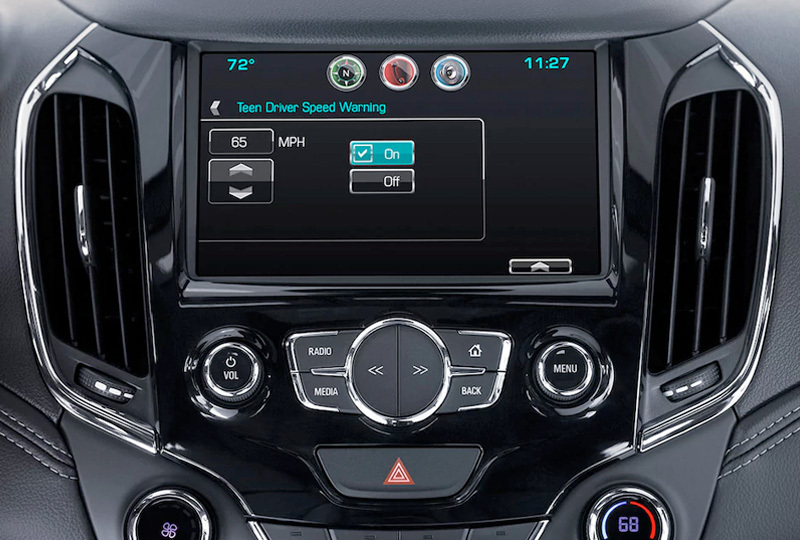 The standard Chevrolet MyLink infotainment system allows you to easily control audio, available navigation, and more, all on an intuitive touchscreen display. 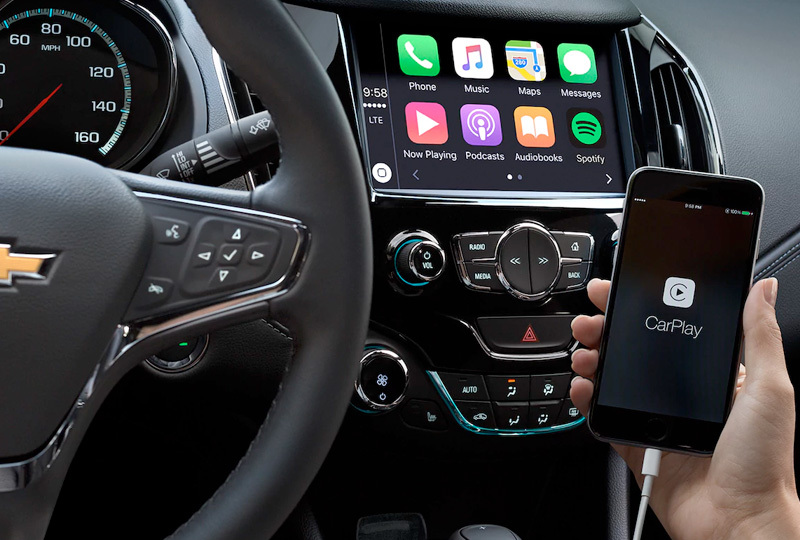 With the available Apple CarPlay or Android Auto support, you can connect your smartphone to access select apps while you drive. A standard rear vision camera is readily available when you shift into reverse so you can have a better look at your surroundings. It's a great day to buy a new Chevrolet. You can schedule your test drive at Jones Chevrolet Cadillac today by calling us at 888-440-9031, or visit our showroom at 1268 Broad Street in Sumter. We can make your dreams of owning a 2018 Chevrolet Cruze come true! Ready to take things up a notch? 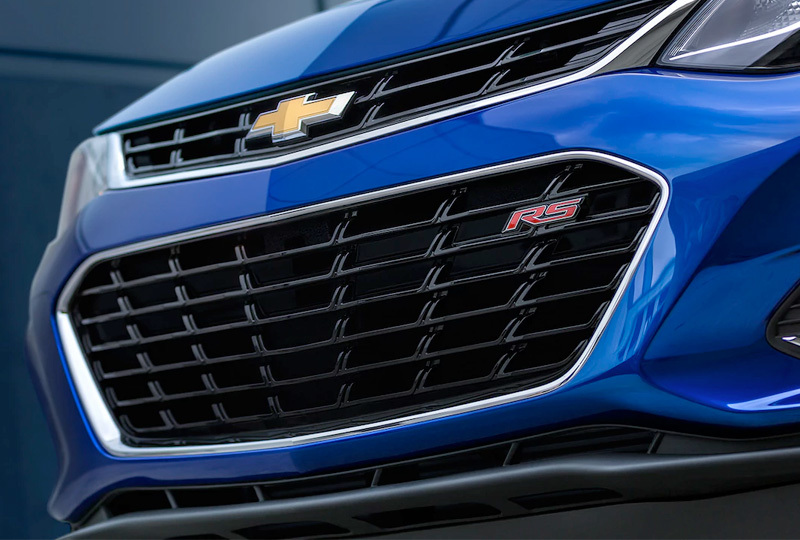 The 2018 Cruze Diesel Sedan offers up to a whopping 52 MPG on the highway ‐ offering a maximum highway range of up to 702 miles on a single tank of gas. 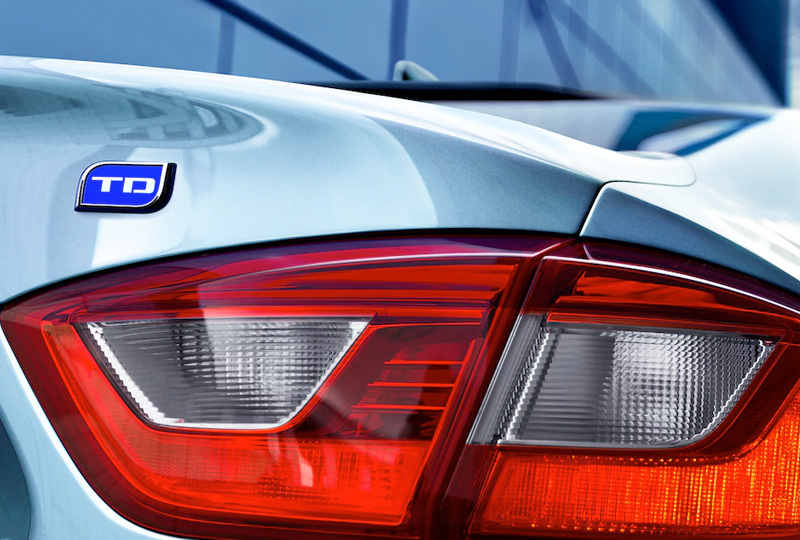 Plus, the 1.6L turbo diesel engine gives you 240 lb.-ft. of torque. And the new Cruze Hatchback Diesel? Offering up to 48 MPG on the highway, that's impressive too. If Android is more your style, available Android AutoTM compatibility lets you connect your compatible smartphone to access your calendar, playlists and select apps such as Google Maps. MSRP excludes tax, title, license and dealer fees. See dealer for details.